Are you having computer or network problems? Do you need advice on how to manage and expand your information technology systems? We can help! 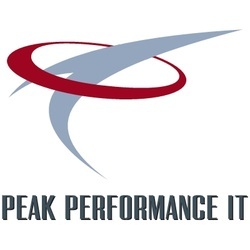 Peak Performance IT is small enough to give you fast, personal service, and large enough to handle any project you throw at us. With over 50 combined years of experience, our engineers will help you with the most complex technology problems.